Need extra reference cards? 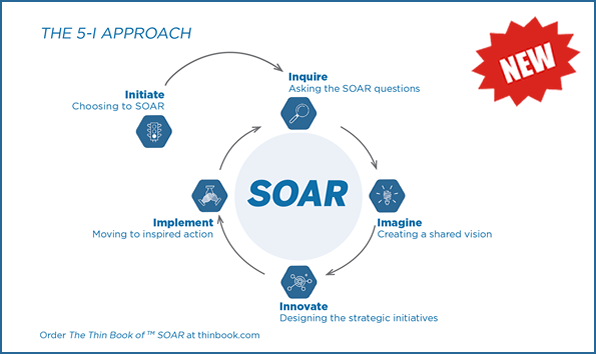 The SOAR Reference Cards, packaged 20 cards to a pack, is a handy reminder of the "5-I Approach" and sample questions that are referred to in the book. If you want to stop unnamed elephants creating havoc in your organization or team, embrace conflict. Constructive, vigorous conflict is the key to a culture that celebrates diversity of thought, style and skills and innovation. Here are the 4 tools to help you.